Along with the most recent colloboration series project I worked on with REAL SKATEBOARDS, I was fortunate enough to work with the Actions Realized + JohnnyKicksCancer Foundaiton. 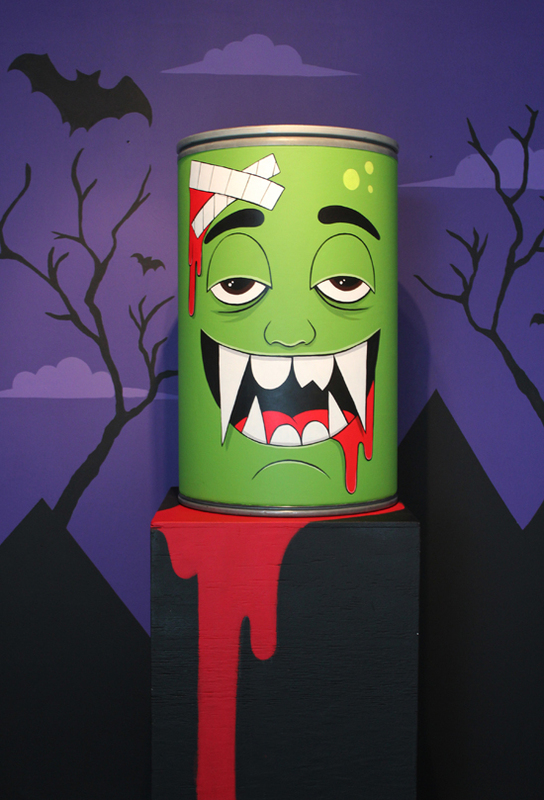 I painted a 3ft tall Mad Can of the Peter Ramondetta deck that was on display at the release event. This piece is being auctioned off with 100% of the proceeds going towards the fight against childhood leukemia. Place your bid on the piece here. Special thanks to Matt Swinsky for coming by the studio and shooting the video while I worked on the piece.